ELEVEN days before stars of the green baize converge upon the nearby Crucible Theatre for the start of the World Championships, being snookered was firmly on the minds of Sheffield Wednesday and Nottingham Forest at Hillsborough last night. 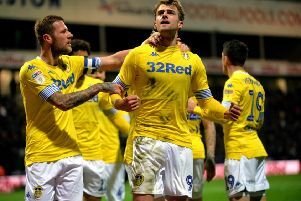 The Championship play-offs may have represented a long shot for both ahead of kick-off, but for one there was the acute realisation that the cue would probably have to be put in the rack for another season if another defeat was registered. In the event it is Wednesday who are the ones left standing after commanding the stage with vivacity on the resumption to keep their season alive as a competitive entity – with an eighth win in nine matches recorded against a woeful Forest. 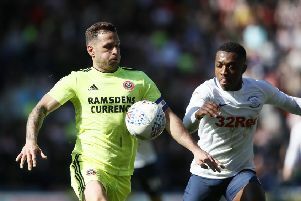 Without the heartbeat of their side in Barry Bannan and Sam Hutchinson, the onus was very much on others to assume responsibility in home jerseys with the likes of Lucas Joao and Joey Pelupessy afforded the limelight. In the event it was Marco Matias – in his first start under manager Steve Bruce – who led the way with a double. His brace was complemented by an exquisite left-footed drive from George Boyd that showcased technique of the highest order to give the Owls a three-goal harvest in the space of 20 uplifting second-half minutes. It was a sweet moment for Boyd, who controversially saw a move to Forest fall through in February 2013 after he failed an eye test. 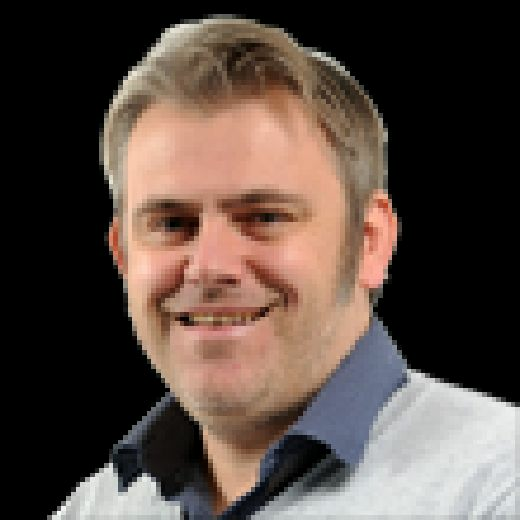 The Owls may still be the footballing equivalent of a couple of difficult snookers away from reaching the topsix, but it is not yet an unbridgeable task. Given the lengthy Premier League exile of these proud clubs who are genuinely worthy of the often overused moniker of sleeping giant, grasping any semblance of hope is thoroughly understandable. It is the challenge of securing a return to the top-flight table –where both these old rivals justifiably believe that they belong – that stirred the souls of Bruce and Martin O’Neill when assuming their next, and possibly final frontline managerial role. Last night saw Bruce wear the smile of satisfaction with a twinkle in his eye at the end with Wednesday, in their 18th campaign away from the big time, still just about in the race. Forest’s absence from the top flight stretches back even longer to 1998-99 and three days on from an abject loss at Rotherham United they suffered another torrid episode across the Tinsley Viaduct that saw the visiting contingent resort to gallows humour. The second-half animation was certainly far removed from a low-key first period that did not hint at what was to come. Some flashes of ebullience arrived from the hosts, especially in the run-up to the break. Marco Matias slides on his knees after scoring the first of his two goals in Sheffield Wednesday's win over Nottingham Forest at Hillsborough on Tuesday night (Picture: Steve Ellis). But it was a few notches down in terms of quality levels from the engrossing fare displayed in Saturday’s unlucky loss to Aston Villa. Making his first league start for Forest, ex-Barnsley goalkeeper Luke Steele – who made an important early save to claw out Joao’s header – earned his corn with a stunning reaction save to turn away Matias’s fierce low drive. Sadly for the veteran his evening got markedly worse. Steven Fletcher and Adam Reach also threatened the goal of Steele with efforts that flew wide, with Forest’s best moment seeing them pass up a gift shortly before the break. Lewis Grabban intercepted a loose pass from Tom Lees – on his 200th start for the Owls – and surged clear before dragging a shot woefully wide, with team-mate Joe Lolley waiting for a tap-in. The mercurial ex-Huddersfield Town winger, who produced one or two moments of savvy to light up proceedings, had earlier been stymied by Kieren Westwood, who made an important block to deny him from close range. Matias took the cue immediately on the resumption with his ambitious 30-yarder beating the poorly-positioned Steele far too easily in a timely moment for the Owls. Steele was also grasping at air for Wednesday’s second with Boyd’s thunderous angled drive beating him all ends up, the winger picking an opportune moment to register his first goal in almost a year. It was the prelude to a breeze of a last half-hour for the Owls with Matias adding a third after being sent clear by a delicate flick from Joao. The Portuguese tucked away the rebound after goalkeeper Steele parried his initial shot, which had riccocheted off Yohan Benalouane. Sheffield Wednesday: Westwood; Palmer, Lees, Hector, Fox; Pelupessy, Reach, Boyd; Matias (Lazaar 86), Fletcher (Hooper 62), Joao (Nuhiu 78). Unused substitutes: Dawson, Thorniley, Forestieri, Winnall. Nottingham Forest: Steele; Byram, Wague, Benalouane, Robinson; Yates, Colback (Ansarifard 79); Cash, Lolley, Appiah (Pele 69); Grabban (Murphy 78). Unused substitutes: Pantilimon, Carvalho, Janko, Yacob.